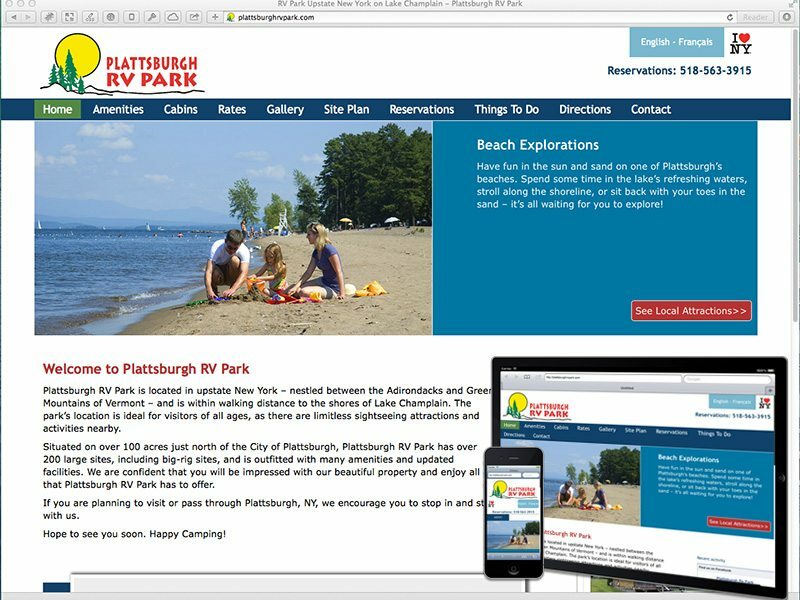 About the site: Site redesign for RV park and campground located in Plattsburgh, NY. Features content management system, reservation request forms, English and French versions. Used responsive design strategy for optimized viewing on all screen sizes and mobile device types. Provide ongoing Search Engine Optimization and web marketing.